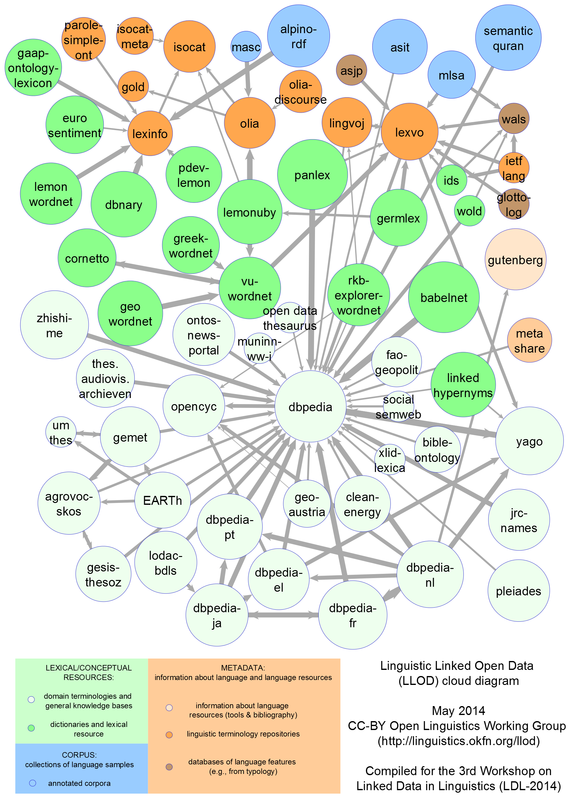 The data published here comes from the dataset of Wordnet published as part of the Billion Triple Challenge. All URIs on this domain are resolvable, and deliver html or RDF, depending on content negotiation Browse interface for viewing and navigating RDF triples Query interface providing access via the SPARQL query language for RDF Coreference Resolution Service, which identifies and manages duplicate URIs The URL of the RDF file in which each URI can be found is also available, under the "Source" column when browsing. The semantic sitemap is available. A voiD description is available. A typical URI you can try resolving is http://wordnet.rkbexplorer.com/id/synset-odd-toed_ungulate-noun-1. Current statistics for this RDF repository (http://wordnet.rkbexplorer.com/sparql/) ? Current statistics for this CRS (http://wordnet.rkbexplorer.com/crs/) ?